Discover why Swan Mountain Llama Trekking is your family’s best choice for Montana family vacations in Glacier Country! A family vacation can be tricky to plan if you are trying to accommodate a variety of different tastes in outdoor activities. 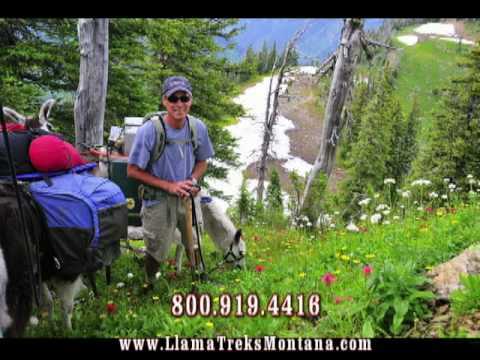 Fortunately, Swan Mountain Llama Trekking has teamed up with our sister company Swan Mountain Outfitters to offer a wide range of Montana summer vacation packages that the whole family will enjoy. Our family summer vacation packages are a great way to get it all done while saving money and the hassle of having to call multiple providers to set up all the activities your family wants to do. Though Swan Mountain Outfitter’s standard saddle paddle trip consists of a two hour horseback ride combined with a three to four hour rafting trip on the Flathead River, we are more than happy to customize the trip to ensure that your dream family adventure vacation becomes a reality. You can go on your saddle paddle trip before or after your llama trek excursion with Swan Mountain Llama Trekking. Before or after your llama trek excursion with Swan Mountain Llama Trekking, we can team up with Glacier Wilderness Guides, and provide you and your family a unique, guided hiking trip near Glacier. Your adventure begins with a stay at the famous Belton Chalet. This will serve as your headquarters as you explore the area’s many wonderful activities. 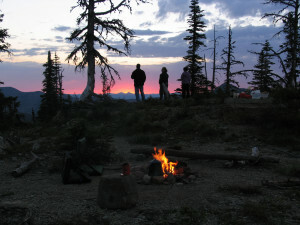 Packages are customizable, but basically include accommodation at the Belton and a variety of activities such as a two hour horseback ride at any Swan Mountain Outfitters stable, a half day (three to four hour) white water rafting trip, and a red bus tour of the Park, and then top it off with a Swan Mountain Llama Trekking day trek. In addition to fishing on our guided multi-day llama treks, you can add days of fishing in the Swan Valley and the Middle and North Forks of the Flathead River. 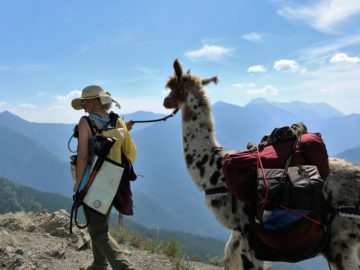 Why not combine your llama trek with a fishing float trip with Swan Mountain Outfitters down the Swan River? You can fish one day each on the Flathead River forks and one on the Swan River, or combine with overnight fishing/float trips. For those looking for the finest of Montana adventure vacations, look no further. Lucky vacationers selecting this trip will first go on a three day, two night float trip on the Middle Fork of the Flathead River with one of our rafting company partners. We will then pick you up and bring you to Swan Mountain Ranch in the Swan Valley for a three day two night guided llama pack trip. Finally, we will then pick you up and bring you to Swan Mountain Outfitters’ base camp in the Swan Valley for a three day two night horseback pack trip into the Bob Marshall. This combines the very best features of a float and horseback and llama vacation into one vacation package. Availability of these one-of-a-kind trips is very limited. The beauty of our vacation package options is that the sky is the limit in terms of the possibilities. From unique lodging options at Swan Mountain Ranch, in the backcountry chalets or old historic hotels to guided trips to the best Montana fly fishing holes, we can combine our Llama Treks with our sister company’s Glacier National Park horseback rides or Bob Marshall Pack trips, with nearly any activity to make your family summer vacation truly unique and memorable.